Registration opens Thursday, January 23 at 8:00pm EST. Be one of the first campers to register to get the biggest discounts. Don’t forget to set up your Beantown account in advance if you don’t already have one! TIERED pricing for the earliest camp registrations. NEW tiered whole shebang and week discounts for first time campers. LOWER Endicott prices for housing and meals. 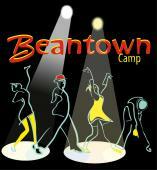 Beantown runs from June 26 to July 3. Do the week to get the full experience! Most campers stay on campus, which is highly recommended. Do you want a dance vacation? Do you NEED a dance vacation? Time to start making your plans for Beantown 2014! Shut off the stresses of the outside world, relax in a beautiful shoreline setting and enjoy immersing yourself in dance camp. Outstanding instructors, incredible bands, a wide range of Lindy Hoppers from near and far. Many class options, inspiring performances, lots of social dancing, karaoke, Beantown’s Got Talent, fun competitions, camp social, camp BBQ, Soul Dance Party, tons of fun. Comfortable housing options, high quality meals, private beaches, excellent facilities. Meet a living legend of Lindy Hop, make new friends, join a music jam, swim in the ocean, play volleyball by the beach. Feel the Lindy Love! In a nutshell, that’s what you get at Beantown! Big news about the Endicott pricing for on-campus housing and meals! Prices are going DOWN! Endicott has renegotiated their contract with their food service and are passing the savings along to us. When does that ever happen? We are grateful to have such a wonderful venue! Details will be available soon! Stay tuned! Read more about Beantown Registration Opens Soon! For those who want to start thinking about NEXT summer, the dates for Beantown are set from June 26-July 3. There will be similar registration options as in the past. Believe it or not, plans are already in the works. This will be the 18th year! Think about doing the full week to get the whole experience as each day brings something special! Details will not be available for awhile, but no doubt it will be a spectacular opportunity for a very fun and inspiring week. Check out last year’s info to get an idea what it’s all about. Frankie Manning Foundation Ambassadors at Beantown Camp! We are excited to announce that three new Ambassadors of the Frankie Manning Foundation scholarship program will be joining us at Beantown Camp this year! Rafal from NYC, plus Alexis and Cyle, both from Cleveland and members of Valerie Salstrom’s Junior Jitterbugs, will all be attending for the whole shebang. 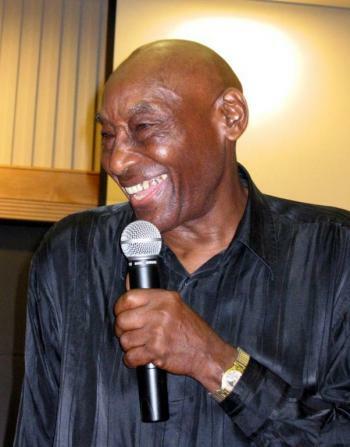 Beantown Camp embodies the continuity of Frankie Manning’s spirit and values, both in the excellence of its classes and its upbeat, fun atmosphere. Please be sure to join us in welcoming Rafal, Alexis and Cyle to camp this year! In addition, Josh, one of the 2012 Ambassadors, will be back this summer. Read more about Frankie Manning Foundation Ambassadors at Beantown Camp! Only 1 Week To Go Until Beantown Camp! Only one week to go!!! Beantown Camp opening day is almost here. We are still accepting registrations if you would like to join us. Who wouldn’t want to spend a week with dancers from near and far, many of the world’s best instructors, 5 nights with 3 awesome bands (Baby Soda and double doses of the Campus Five and Gordon Webster! ), great DJs, a beautiful location on the shore and many fun activities included? If this sounds like the vacation you want to do, register today! Come share the Lindy love…you will be glad you did! Read more about Only 1 Week To Go Until Beantown Camp! Be sure to check out the camp forum for ride sharing and other information. This is a great way to communicate with other campers and maybe organize a door-to-door airport shuttle or request a ride from a local. For our local campers, we would really appreciate if you check the forum to see if there are any visiting campers you can help out. It is wonderful when we all work together to make this an amazing experience for everyone! For everyone planning to attend who has not yet completed a registration or an Endicott Reservation, it would be a huge help if you get your registration and full payment in ASAP! There are packets to assemble and the college has rooms to prepare. We want your complete camp experience to be smooth sailing from the moment you arrive and the more we can do in advance, the easier for us to make that happen. Join us for our 17th year! Camp runs from June 27 to July 4 with multiple registration options. If you’ve never done the full week, this will be the year to do it. There is so much that you will not want to miss! Check website for all the details and registration. Read more about Only 2 Weeks To Go Until Beantown Camp! Be sure to check out the camp forum for ride sharing and other information. This is a great way to communicate with other campers and maybe organize a door-to-door airport shuttle or request a ride from a local. For our local campers, we would really appreciate if you check the forum to see if there are any visiting campers you can help out. It is wonderful when we all work together to make this an amazing experience for everyone!